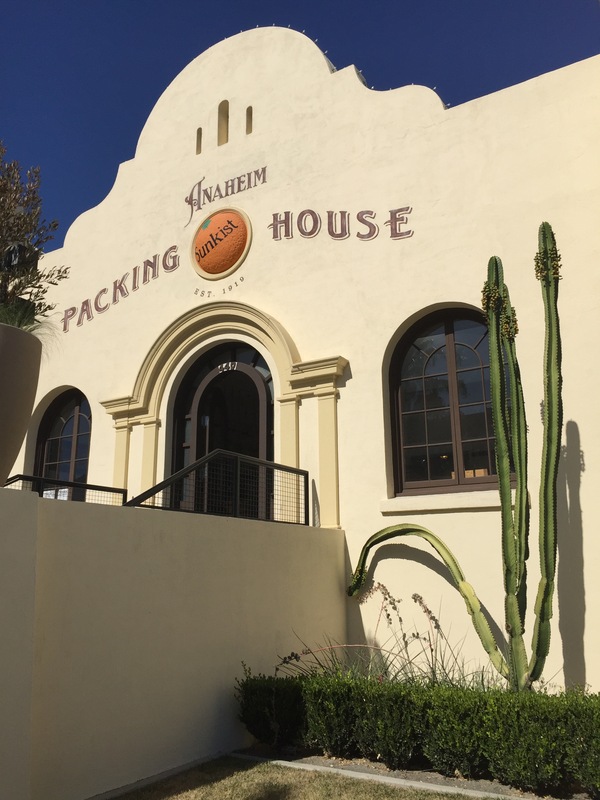 We live in Southern California, and this weekend we decided to check out the Anaheim Packing House! 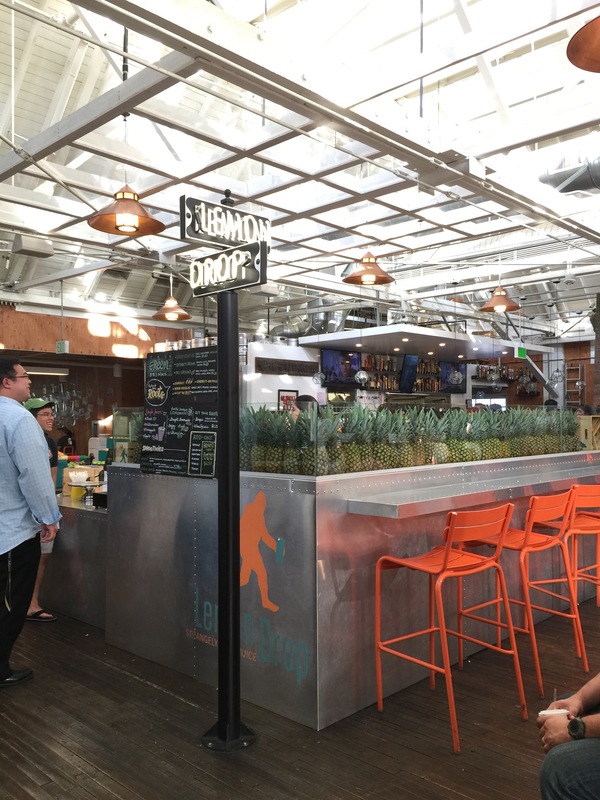 The Packing House is a cool gourmet food hall filled with lots of great little restaurants. Most places have their own small dining area or you can take food from all over and find a communal place to sit and eat. We took my youngest sister with us, and we had a game plan: share everything so that we can try lots of different places without getting too full! 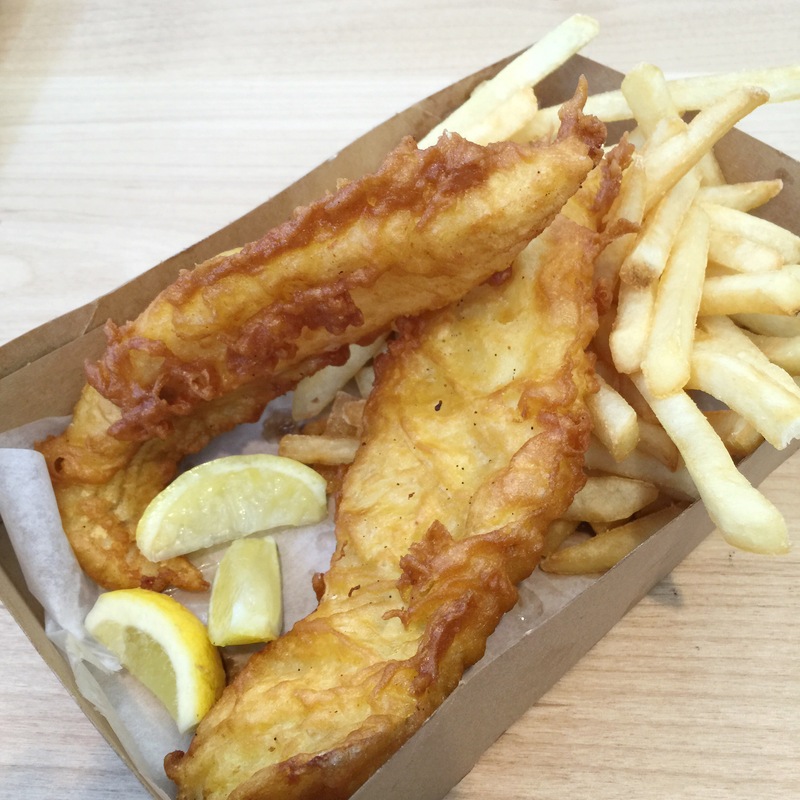 First stop was Fish and chips from The Chippy Fish & Grill. They had awesome, huge pieces of fish. Every restaurant had lots of great options on the menu. 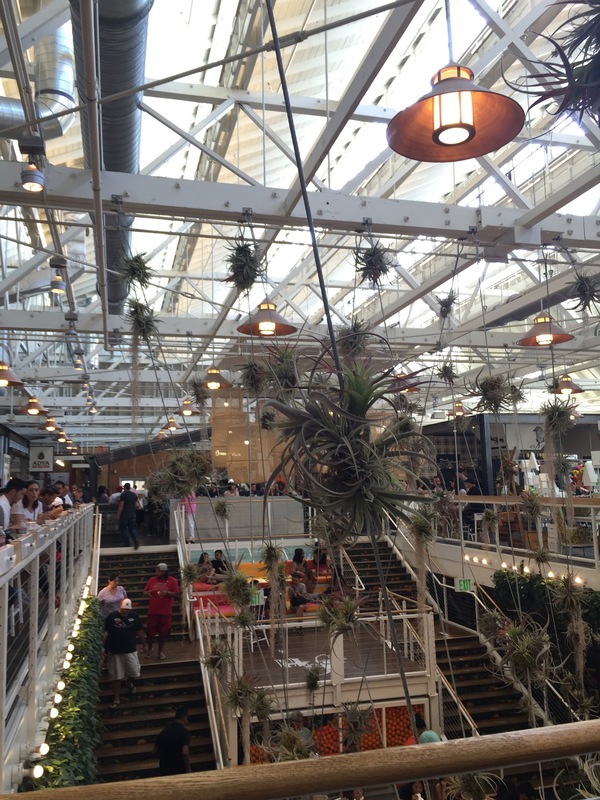 The Packing House is an awesome two-story building. It used to be the old Sunkist Orange packing house in 1909, and was renovated and re-opened in 2014. It was beautiful inside, and was very crowded too. Even though we were there on a busy Saturday, we were surprised to find that we were able to find seating around the whole building very easily. Our biggest meal was from Sawleaf Vietnamese Cafe. 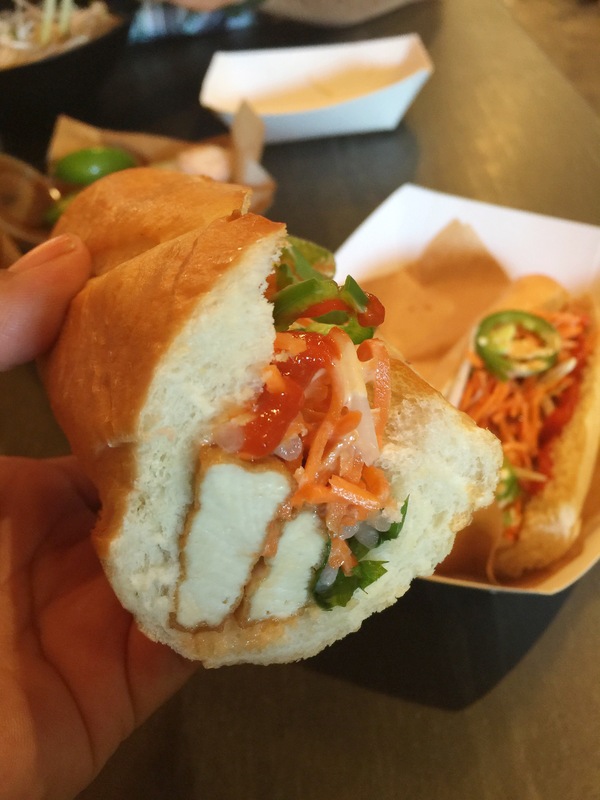 My little sister and my husband both had pho, and I had a garlic tofu banh mi, which is a Vietnamese sandwich. 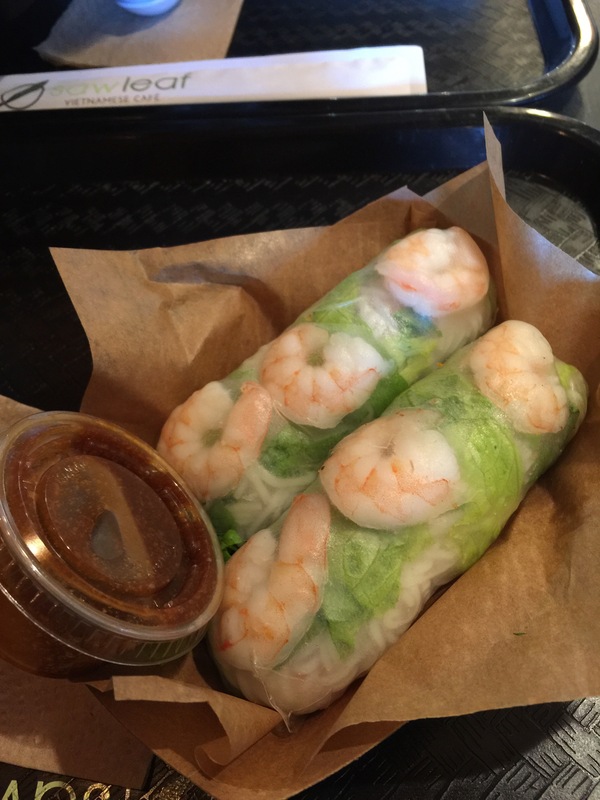 My husband also ordered one of his favorite items, the pork and shrimp spring rolls. Those came with a very tasty hoisin peanut dipping sauce which I added to my sandwich. I only had half of my sandwich because I didn’t want to get too full! Tommy had beef pho and my sister had chicken. 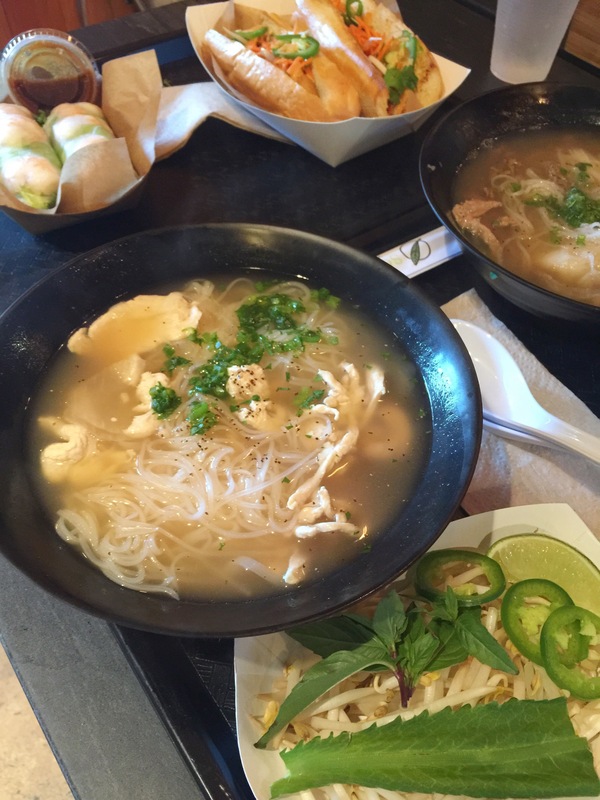 I had a little of the chicken pho, and I loved it. Doesn’t my sandwich look so juicy and delicious??! I also added sriracha hot chili sauce to it. 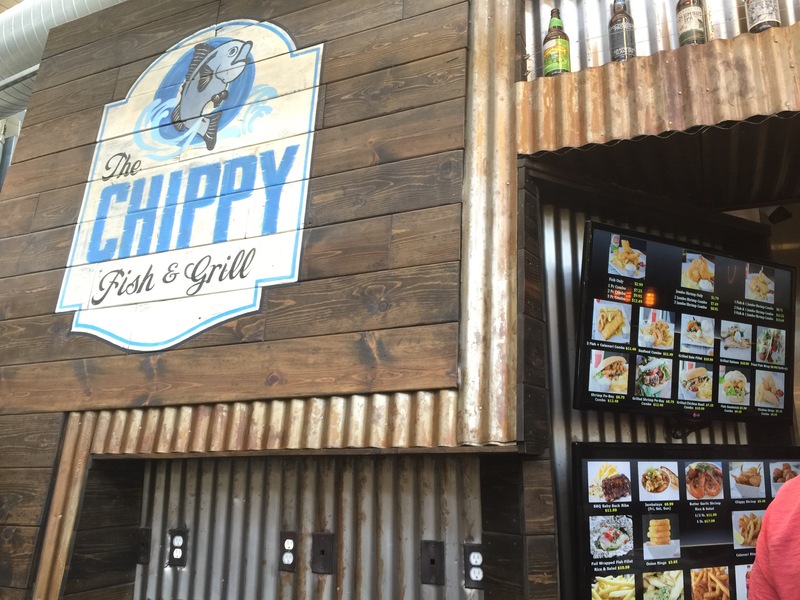 This photo snuck in here because it is definitely a place I want to try next time, but we were too full to try! They sell poutine which I have not had since we were in Canada. Poutine is a super popular dish in Canada made of fries topped with cheese curds and gravy. There are lots of variations, but they are one of the most savory, mouth-watering foods I’ve ever had! I can’t believe I didn’t try these here!!! 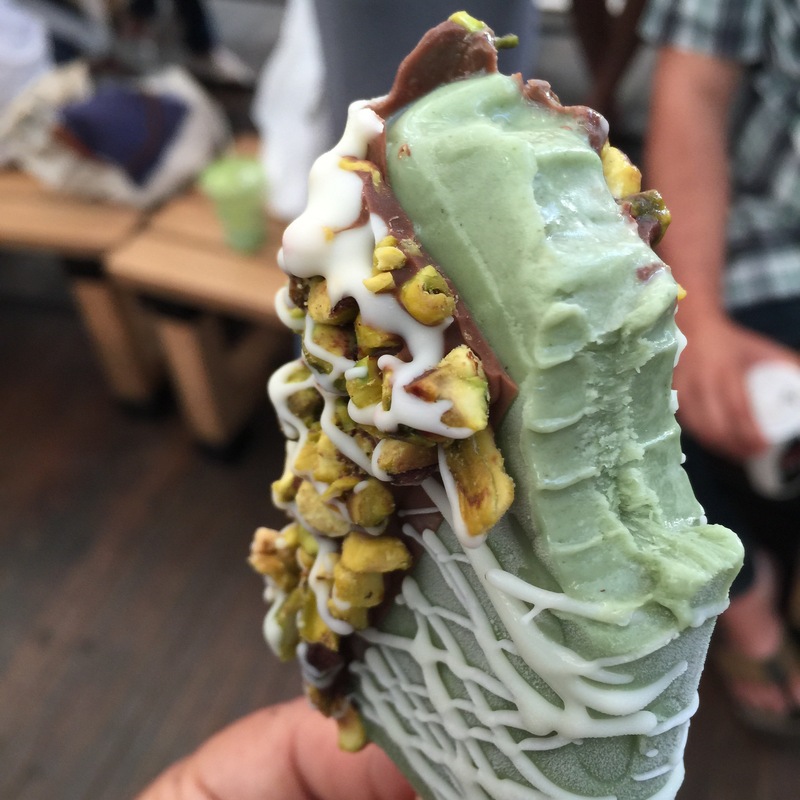 The Popsicles are made of gelato. 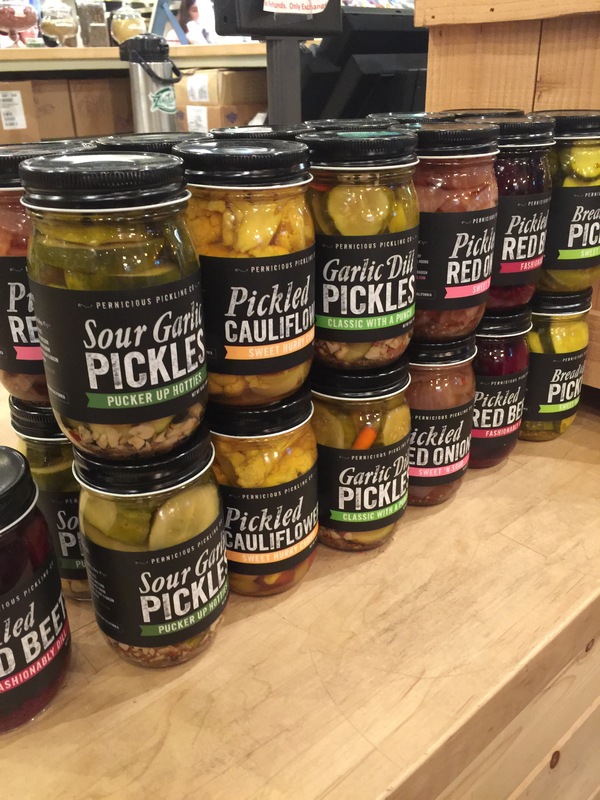 You choose your pop, your dip and toppings. I mean, what more could you want? 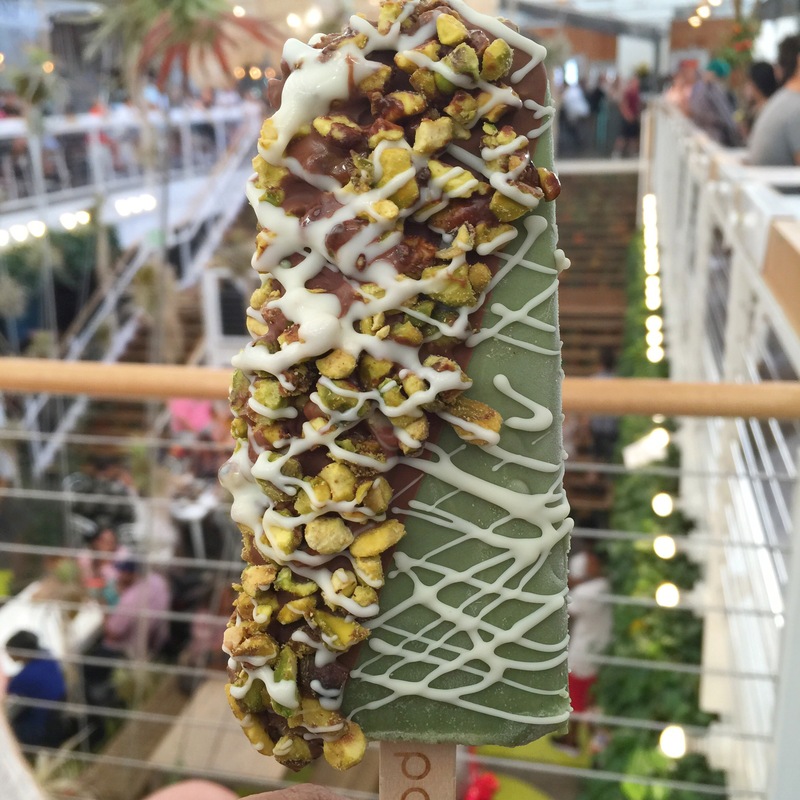 I chose the pistachio gelato pop half dipped in milk chocolate, coated in pistachios and drizzled with white chocolate. Ahhhh… Beautiful! Tommy took a couple of bites, but I mostly had this all to myself! 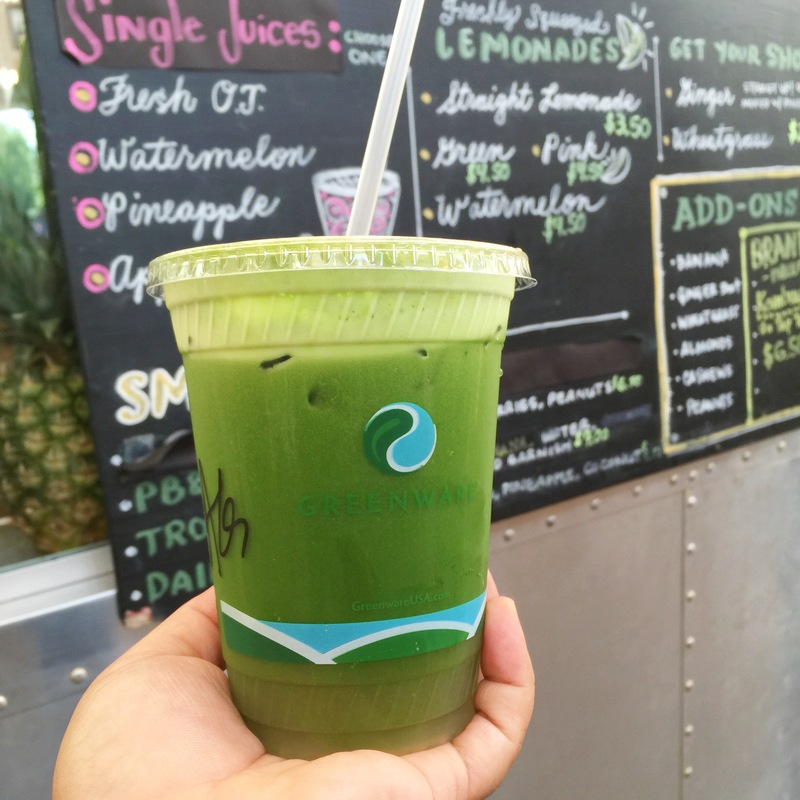 My sister really wanted to try a fresh juice from Lemon Dop juice bar. 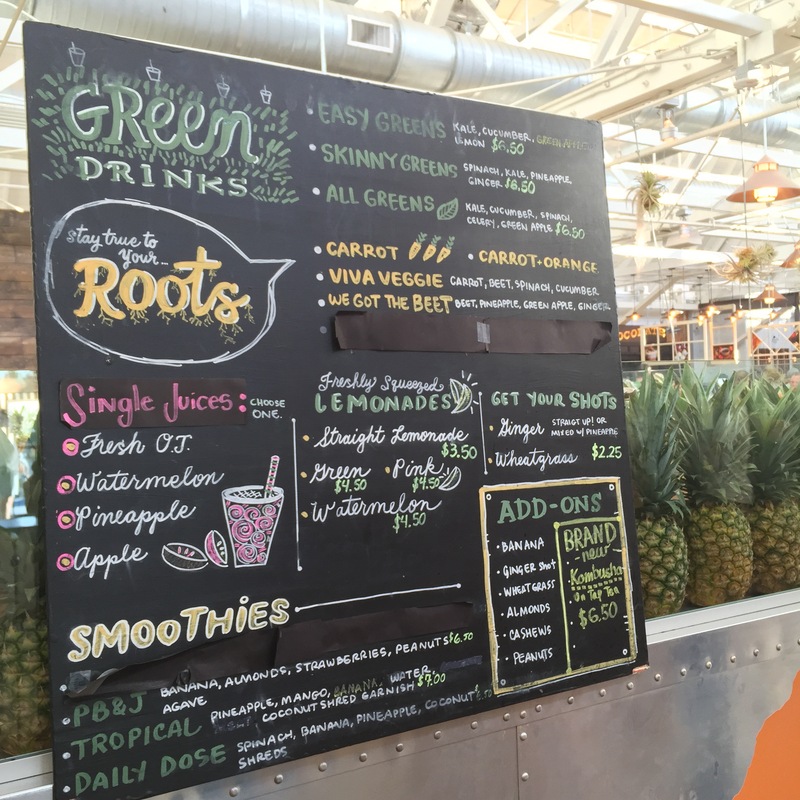 She picked the All Greens juice. It was crisp and refreshing. 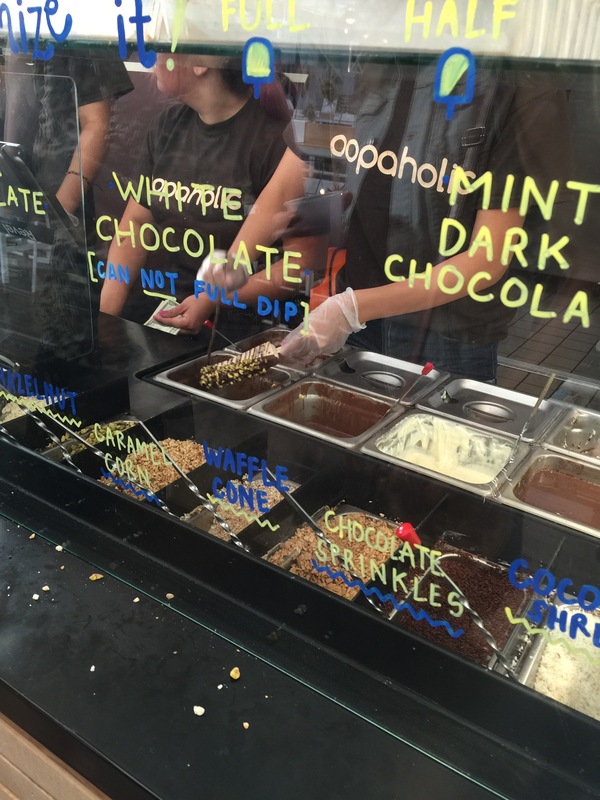 Oh by the way, the Popbar line was consistently long, but moved fast! 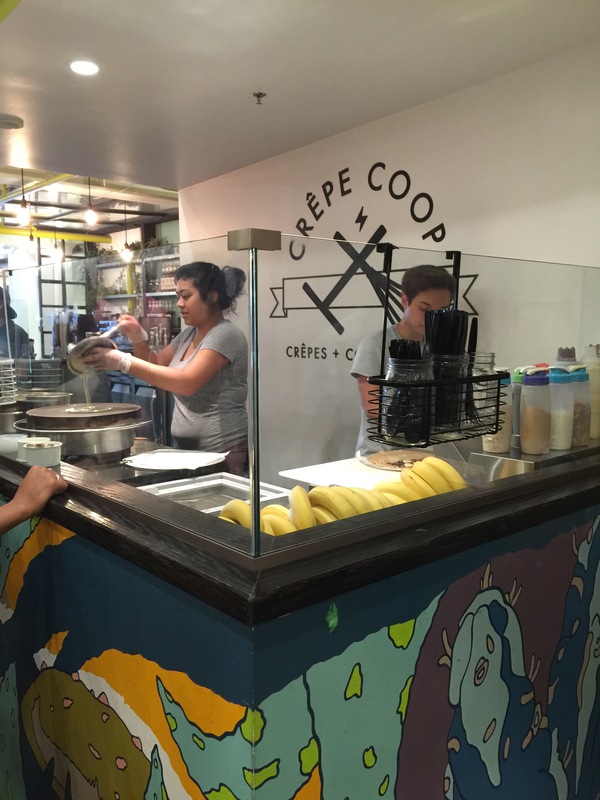 This crepe place was also a place I wanted to try, but didn’t! Next time for sure. 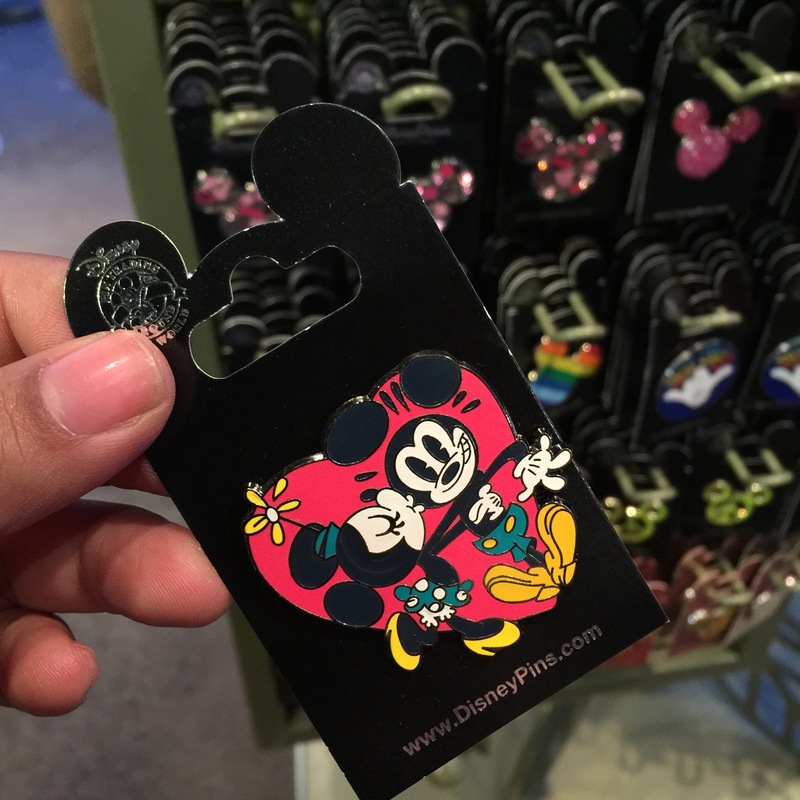 There are lots of goodies that can be purchased and taken home as well. 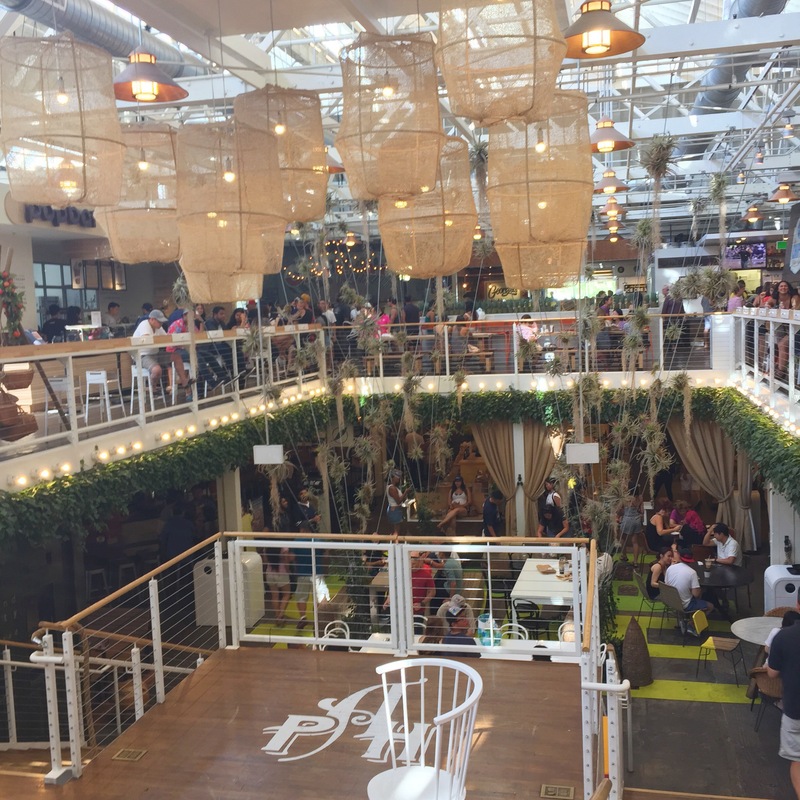 The Anaheim Packing house gets rave reviews from us. It is a very fun place to go and socialize with family and friends. Foodie heaven too, so that’s a bonus! 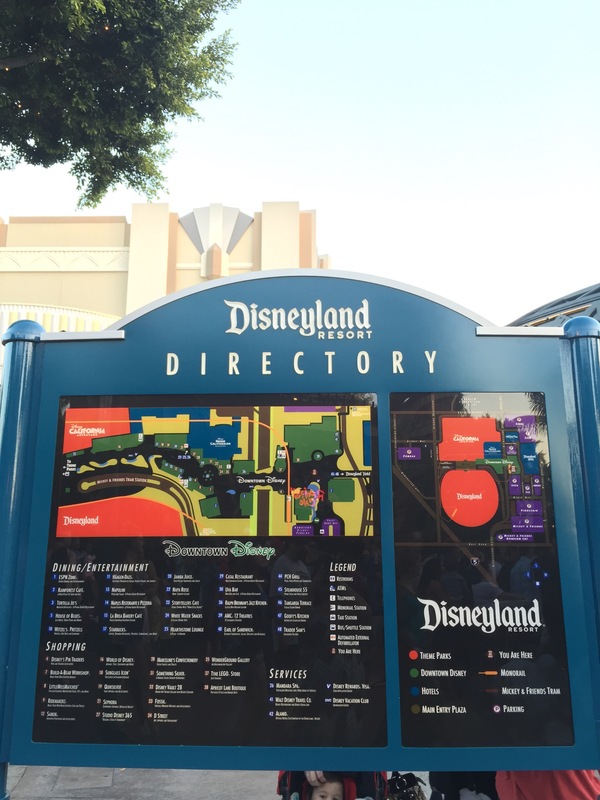 Next, we decided to go walk around Downtown Disney. 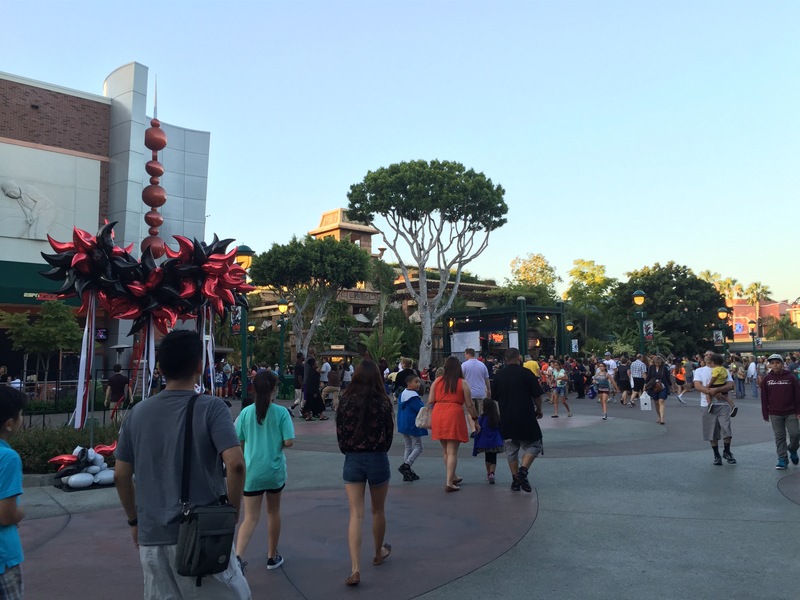 Downtown Disney is the area right outside of Disneyland. 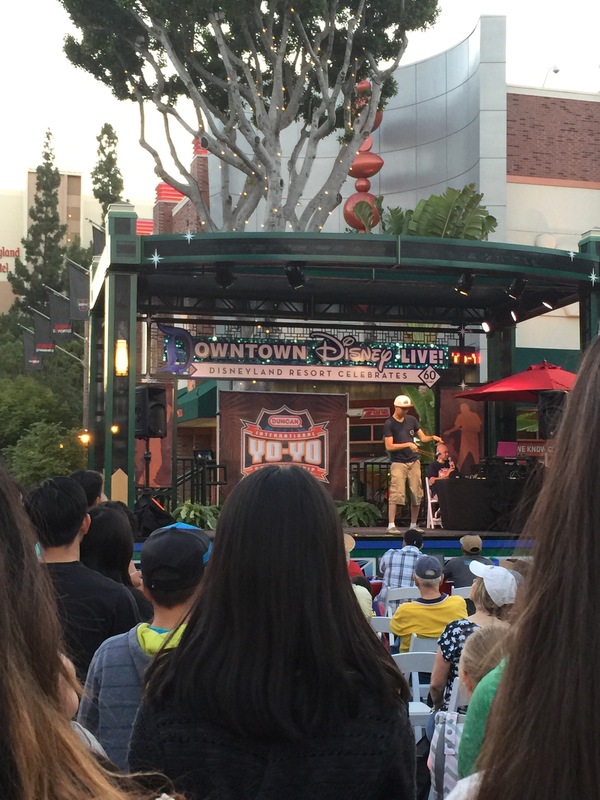 They have dining, shopping and there is usually live entertainment as well. 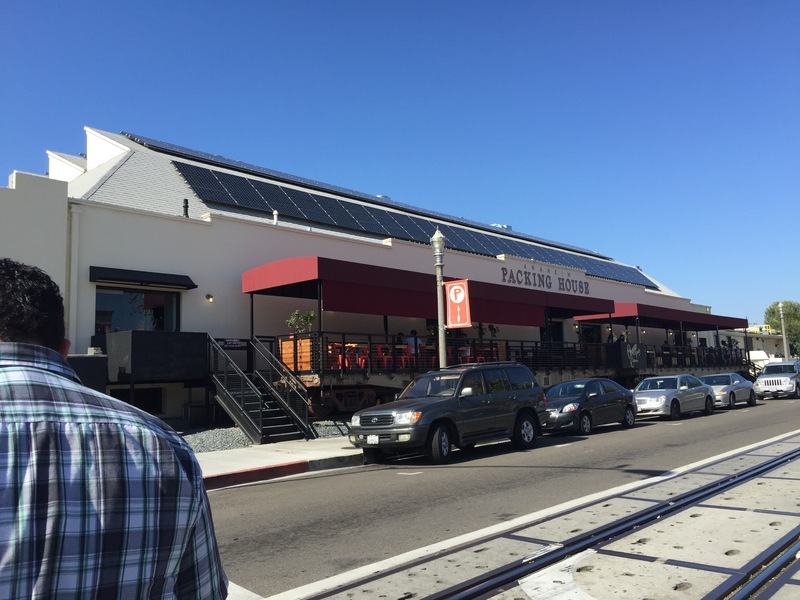 Also, it’s only about ten minutes away The Packing House, so it was very easy to get from one place to the other. Saturday there happened to be the Duncan International Yo-Yo competition going on. We had fun watching that! Those guys do some crazy tricks. The Lego store is awesome! 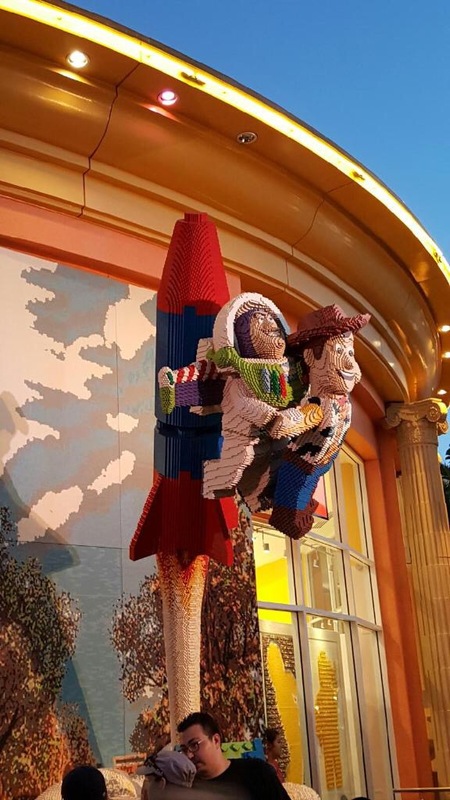 It’s crazy what they can build out of Legos! 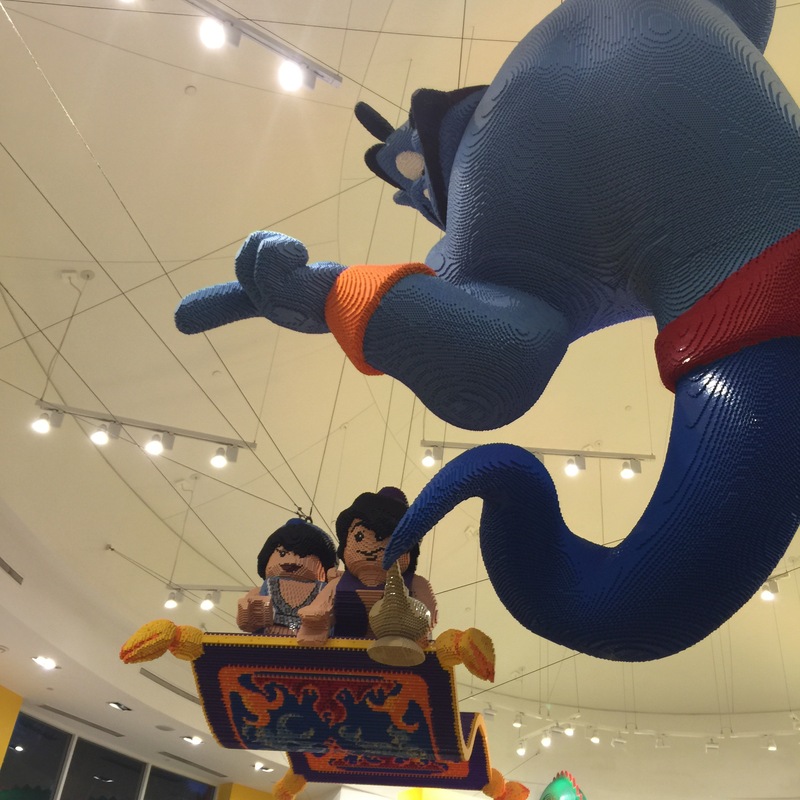 I died when I saw this Genie, Jasmin and Aladdin! How cute is that??! 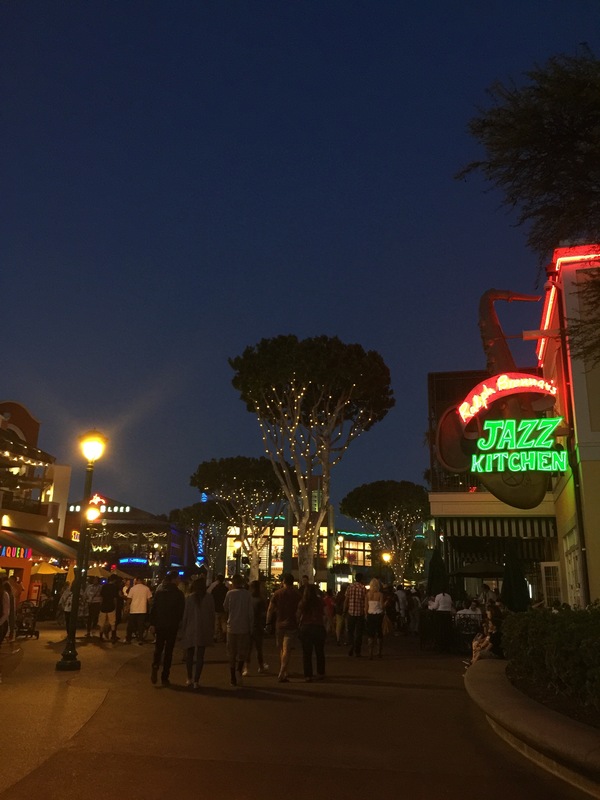 Downtown Disney is beautiful at night! It’s still full of people, there is music playing and the lights on the trees are so pretty. 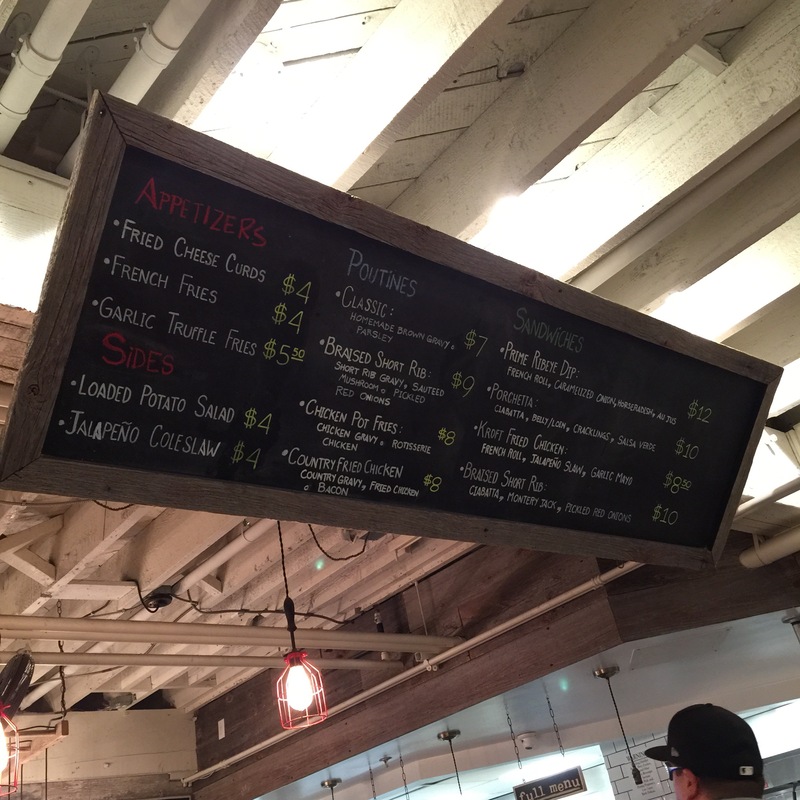 I’ve always wanted to try Tortilla Joe’s Mexican food restaurant, so on Saturday we finally did. If you are there at night I recommended outdoor patio seating, because you can see the Disneyland fireworks from your table if you are there at the right time. 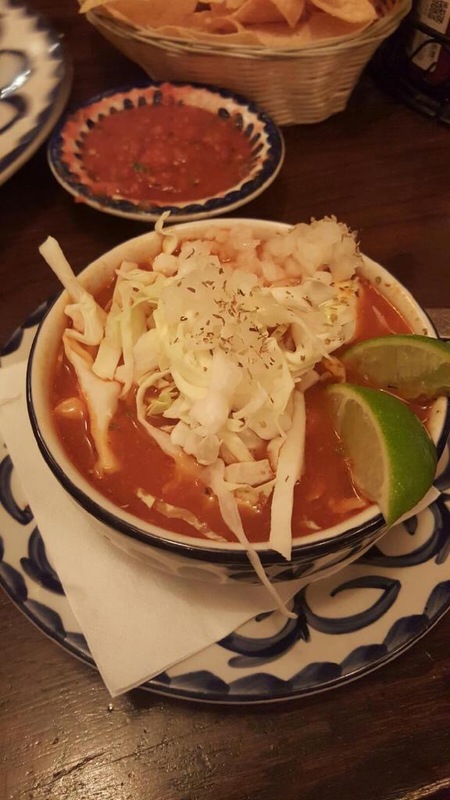 Christina wasn’t hungry so she didn’t want anything, and I wasn’t too hungry so I ordered a bowl of pozole. 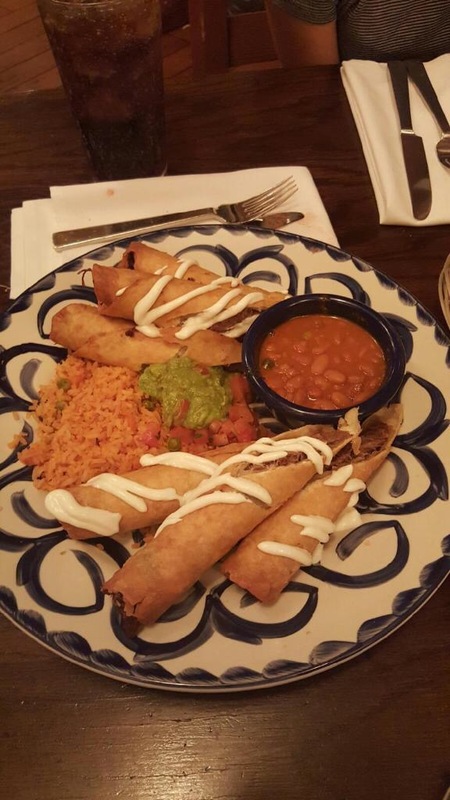 Tommy had shredded beef flautas, and it was a huge plate. He took leftovers home. The restaurant is pretty, but I didn’t love it and felt it was overpriced. It is a nice place because of the location and how nice it is inside, but the food was just okay. 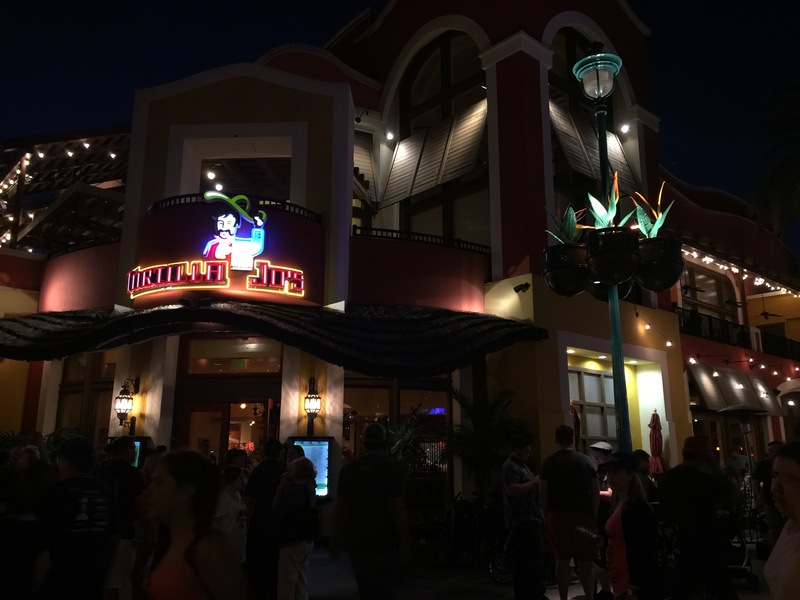 They have an Express Restaurant next door where you can order items like tacos, burritos and nachos. It’s a cool option because it’s faster and has cheaper prices too. I would recommend trying that. 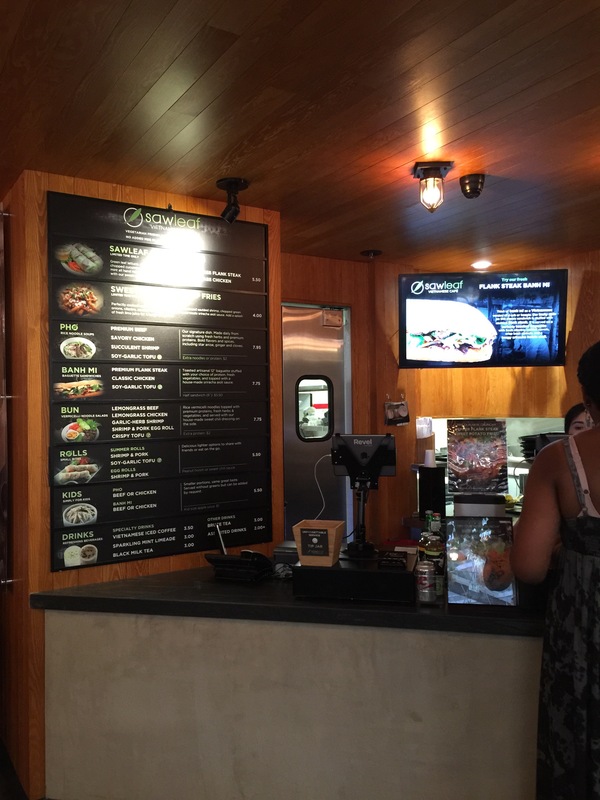 I noticed that Jazz Kitchen also has an Express side, and the menu looked great! 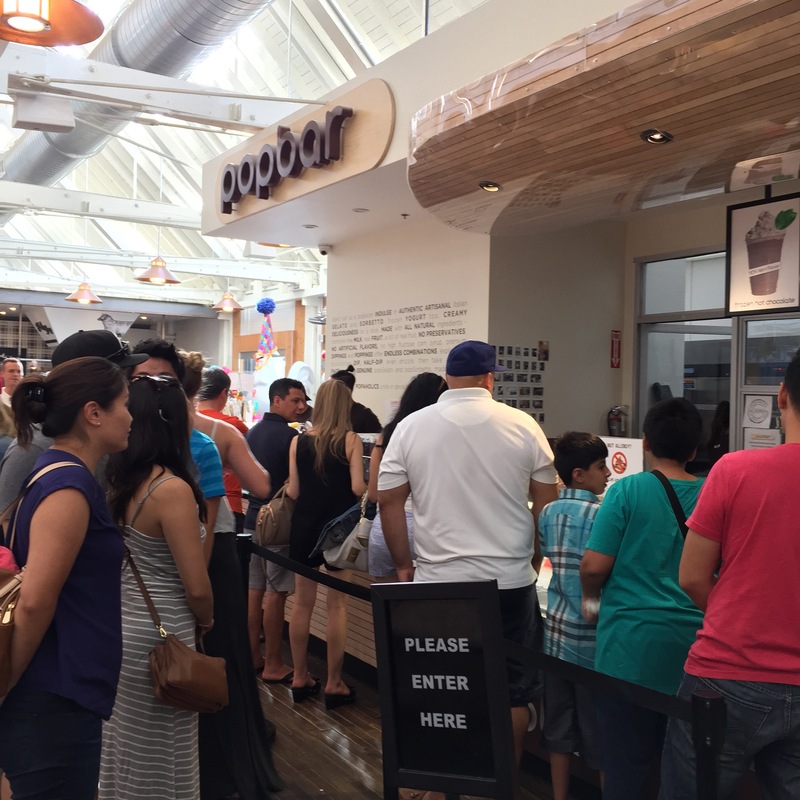 That was our foodie day in Anaheim. I hope you enjoyed, and I hope you visit for yourself if you get the chance! It was lots of fun! 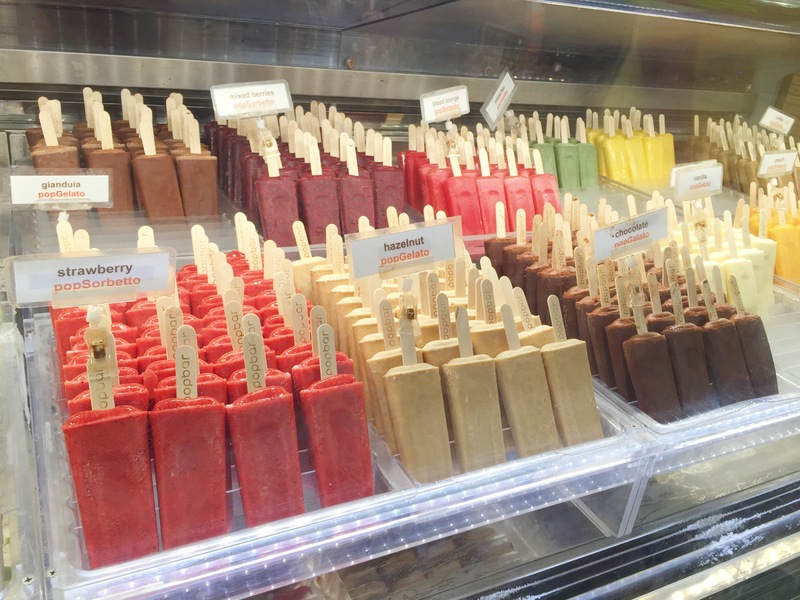 😊 The Popbar is so cool.. I already want to go back lol!